I first and foremost would like to thank @AnkerOfficial for the opportunity to test the Liberty Neo. 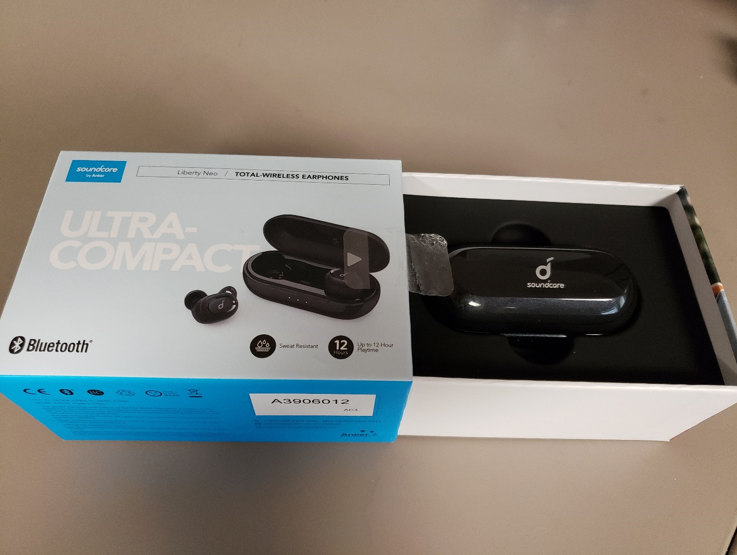 Upon receiving the Neo’s, the box that is comes in displays the standard items included, play time, connection type (Bluetooth) and battery. The case for the earbuds is both sleek and simple, while keeping to a smaller shape. Although mine did not come with the jackets already installed, there were 3 sets included as well as 3 different sizes of eartips. This is a fundamental thing to add as although I used the medium size, others that I had test the Neo’s used each size accordingly. I did attempt to use all 3 and noticed right away that the fit was not correct which is quite useful for many people as finding a perfect fit is ideal. A micro USB and User manual completes the included items. Upon opening the storage case/charger, the buds immediately searched for a Bluetooth device to pair to. The case had 1 bar of power, but the buds were at 100%. Pairing was simple and easy with a Galaxy S9+ and the connection was established in no time. Although there is no app for the Neo’s, I was able to determine the battery life both on my S9+’s Bluetooth menu. There are 3 L.E.D. modes, with Rapid flashing being for pairing, slow flashing left earbud and rapid right when connected, and slow for both when True Wireless Stereo is connected fully. The jackets and ear tips are interchangeable with no issues and leave an opening to determine which bud is for which ear (labeled L and R accordingly) It took a couple of tries to be able to get them fitted fully into my ear, but once I was able to determine the correct method, each subsequent time was done quickly. The fit is both ideal and comfortable and the buds stay in through a variety of activities with little to no adjustment needed. I decided to test the Neo’s in a wide variety of locations, temperatures, situations and against multiple devices. The reason for this is that the Neo’s are going to be used just as normal devices would be used. I could say that I would be using them while scaling an iced-over waterfall, but that might be a little farfetched. put to good use was the magnetic snap-in for the charging case. This was used many a time at 3 am trying to put them back into the case. 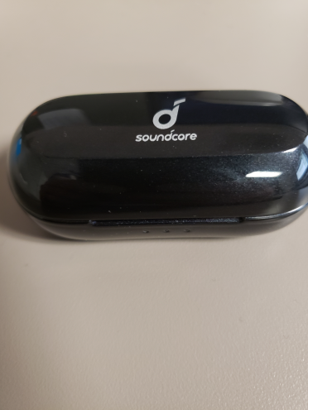 Like many others that are planning on utilizing the Neo’s, I am not always tethered to the device I am using to stream my music. I like to leave my phone/laptop/tablet on the table while being able to freely roam my home or office. While using the Neo’s around my home (1600 sq ft colonial with plaster walls, which I might add are GREAT for WiFi and Bluetooth) I did not have any real interference or distortion until I left my phone and laptop in the basement and went to the 2nd floor. This translates to roughly a 25 ft elevation change between concrete/wood/plaster/electrical, so that goes as a pass in my book. Secondly, I tested the range with no possibility of interference, and what better place to do that than my backyard. At a distance of 165’ from the back porch to the back of the yard, there was no drop in signal while testing it connected to a Galaxy S9+, iPad Air, Dell Ultrabook and iPhone 8. Again, that goes as a pass in my book. Lastly I tested the range within my crowded, noisy, wall filled office. This is when it got interesting. While connected to both my S9+ and then Dell Ultrabook, both being left at my cubicle style desk, the range was cut to around 65’ for the S9+ and only 52’ with the Ultrabook. 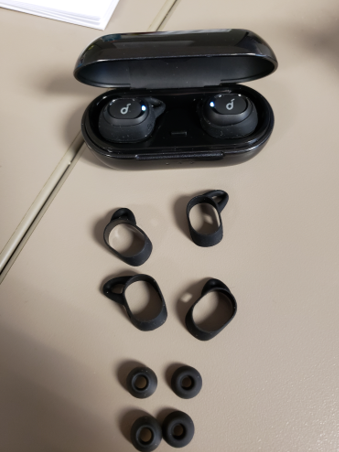 Although I want to blame the multitude of Bluetooth connected devices in the area as the culprit, the outcome was a little surprising. Not a deal breaker per se, but still not 100% ideal. I have grown up with technology and made career into it. That being said, setting up the Neo was a piece of cake for me, but this is not always the case with everyone. I wanted to see how easy it was for a wide variety of people to set it up as well. I tested with a group of 7 people, ranging between the ages of 12-67 and from all walks of life. Overall the consensus was that the pairing and use is very easy for all, outside of the older demographic needing some coaching. The use controls consist of pressing and holding the action button on either bud for a specific duration, which seemed to go over well with all ages. The instructions in the manual were clear and concise as to how each function works, both with music and calls. All ages were able to complete each action with ease and little direction. One chief complaint (my own as well) is with the action button causing users to have to push the bud further into their ear. I too came across this when trying to change tracks. The action button has a firm button, which is understandable, but definitely created some unwanted pressure when being pressed. The Neo states that it can play for 3.5 hours on a single charge. During my testing, this did hold true with average play time being 3.203 hours on a single charge. A 5-hour long YouTube video was used for each test so there was no stopping and starting a new track needed. Charge times were averaging around 1.5 hours, as stated in the manual. Charge times with the case varied, depending on the amount of charge that the case had prior to inserting the buds. I used a combination of stock Samsung and Apple charging blocks, Samsung Quick charge block, PowerPort II PD, PowerCore 5000, PowerCore 10000 and PowerCore II 20000 for the power source and Anker 1’, Anker 3’ and stock Samsung and Apple cables. While some variance was seen between charge times, they were nominal with little difference outside of 17 minutes. Although this may be a game changer for some, 17 minutes difference in a full charge was not something that I would need to use the quicker combination each time. The last test that I performed was the most important in my book. 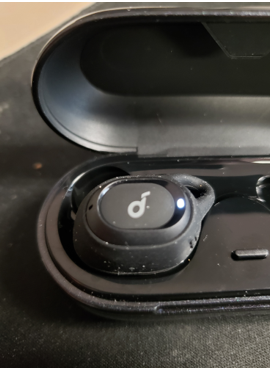 It is hard to gauge the clarity and range of a set of True Wireless earbuds prior to actually owning them. Everyone has their favorite genre of music, which really made this test interesting. While the range over a variety of songs appears to be on par with the Zolo Liberty, bass was lacking in more bass heavy tracks. There is a decent amount thanks in part to the higher oscillation of the drivers that use graphene technology, but it left me craving more. Both Jazz and Blues tracks resonated with clarity and pitch, along with quicker tracks in the EDM and Drum and Bass category, but again bass was lacking where it was wanted/needed. Podcasts and Classical reigned supreme as the best quality overall, as well as Country. Overall the sound quality is on point with each genre. Those who tested as well stated similar, with only minor disparities as to preference. Call quality appears to be on par with all other buds tested, as well as wireless headphones (Bose QC II and Plantronics Backbeat Pro). Callers were able to understand me with no issues while walking outside, sitting at a desk and in a crowded room. Although not stated on the box/information, there appears to be a degree of noise cancellation which came in handy when my 16 month old and 2 month old decided to test out their vocal range. Although they were able to be heard, the comfort of the tips kept out any additional sounds. While in use, dependent on the volume, noise was drowned out to almost 100%. 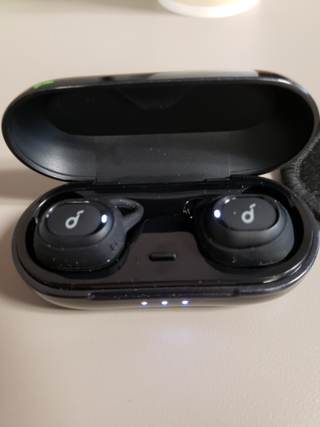 After testing for the 2 weeks I have had them, I can say that the Neo’s are well worth the investment, so you can get the Total-Wireless capabilities at a fraction of the cost of competitors. 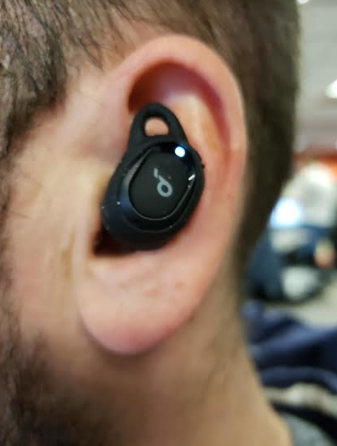 Although they may not be your day to day use buds, the Neo’s seem as though they will stand the test of time and last through daily use with ease. The comfort and quality that they deliver is on par with expectations and the ease of use keeps in high regard for users of all ages. I highly recommend the Neo’s for your day to day earbuds and know that you will not be disappointed in the end. Nice review. Nice pictures. All around a stellar review! 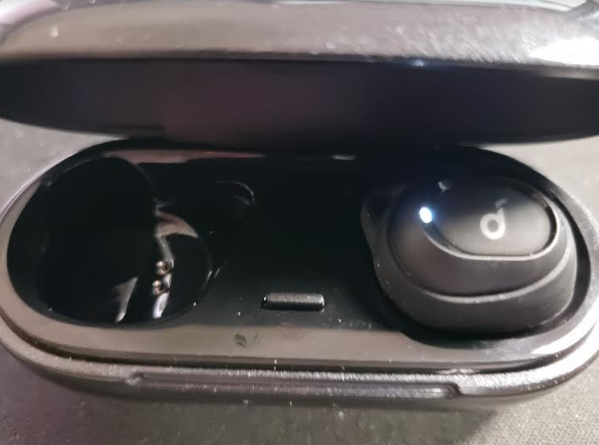 @Fuu_bar Hmm, one of the biggest complain from many people before was that you couldn't use the wireless earbuds independently. Am I the only one who tested and used this feature? Not only to use individually but to also extend how long they will last when not paired to one another? Here is the kicker that many will love to hear, you can pair each earbud independently from one another, and if you are using a phone that has Bluetooth 5.0 you can enable dual Audio and pair each earbud to the phone separately and use them at the same time...doing this will allow your earbuds to last roughly 6 to 7 hours as opposed to just the 3 when the earbuds are paired together. I did not even know that was a thing to be honest. I did just test it now and it seems to be a pretty straight forward thing, but the additional battery life is a huge game changer on that. 3 hours is not horrible, but in no way is ample for someone who plans to use them during a normal day without having to charge them. Doubling that would far exceed the amount of use I could personally get out of them during the day. Very much appreciated information. Very nice! Good job on the review. Great job with the review. I love how you laid it all out by sections. Makes it easier to digest the contents. A great detailed review with detailed pictures. Thanks for sharing your review. A very impressive, detailed, and well-written review @Fuu_bar ! I was definitely waiting for the iced-over waterfall scaling! Great review... I like the age testing!